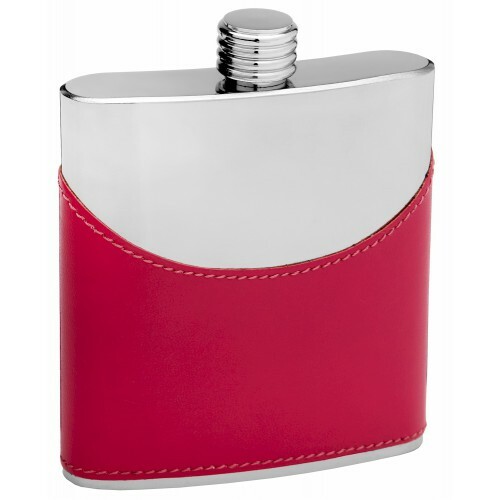 These half faux leather flasks make the perfect gift. 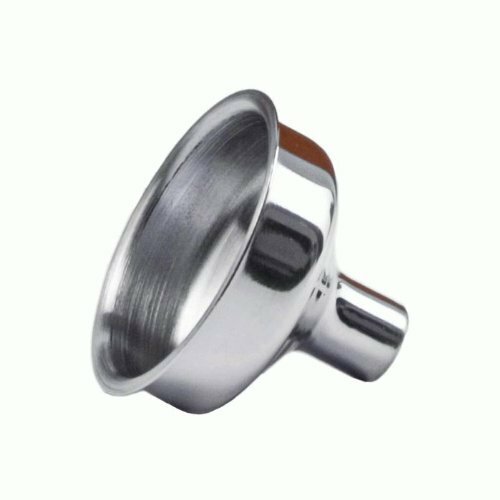 The bottom half of the flask is wrapped in brilliant pink with the top half showing the sleek highly polished stainless steel. The faux leather is curved down on the front and back of the flask. 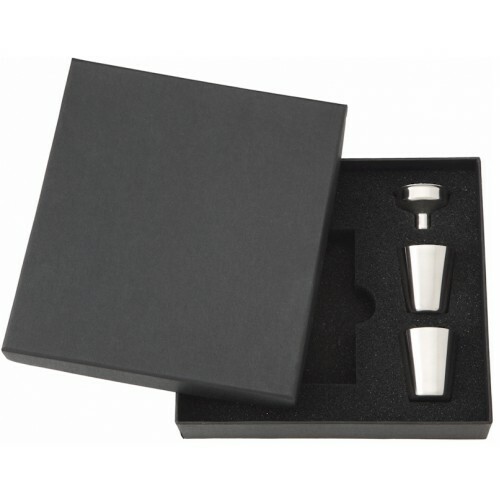 Unlike most hip flask, this flask has a more elegant look because it does not have a hinged lid. The lid is completely detachable from the flask. 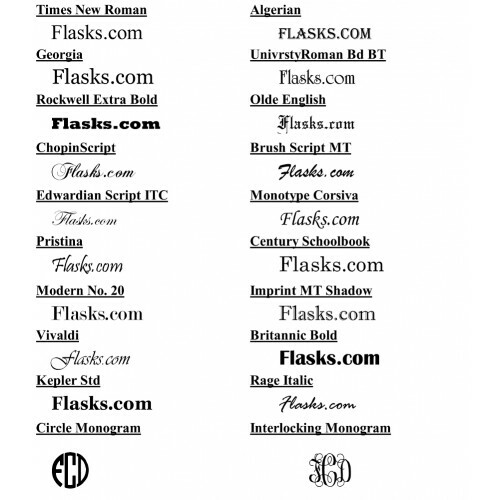 The stainless steel part of this flask is customizable with your choice of logo or text.